- Pre wedding video chat consultation. - Online contract delivery/signing & payment for convenience. - Planning materials like wedding timeline builder, engagement session prep & more! - Final wedding timeline video chat consultation and final wedding day detail review. - Photo & Photo/Cinema packages include a complimentary educational engagement session. - Digital images on password protected download gallery w/printing release. - Full ceremony, speeches, highlight movie of wedding day and choice of music from provided website. "We know that your wedding is so much more than just a day. Your marriage & wedding has been crafted over decades by your families, friends & all of life’s unexpected Yet amazing wonders." take 10% off when you pay in full up front! Absolutely! I have many planning materials in the client portal to assist in creating a rough draft. After I receive that rough draft we schedule a video chat meeting to go over all the details and finalize your schedule to best fit your vision of the day. Do you help me with a wedding day schedule? Yes! I personally edit each photo and deliver the photos in a combination of color and black and white photos. On average for a cookie cutter wedding day schedule I average 50-100 images per hour to deliver. 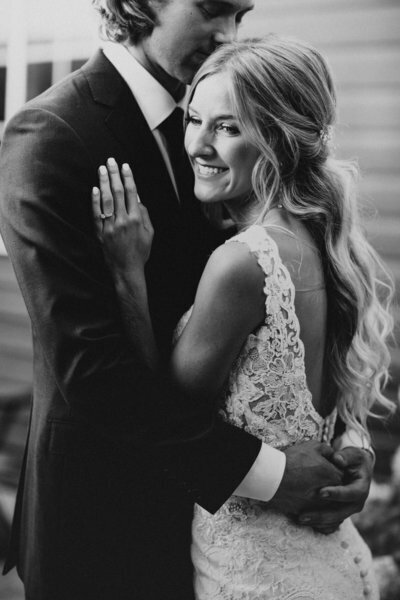 Most weddings receive 700+ images for a typical 8-10 Hour wedding day including getting ready, first look, bride/groom portraits, bridal party, family photos ceremony, sunset photos and reception photos. Things that may effect the total image count is if there is a lot of different locations with drive time taking out of portrait times, latency and so forth. Yes! And I can send proof of insurance over to your venue if requested. Yes! And I my cameras have dual card slots so it mirrors the images on another card in case on card gets corrupted.. this is HUGE when looking for a photographer for future reference. Do you edit all of the photos and how many can we expect? Do you carry back up equipment? I will do everything in my power to be there no matter what. If God forbid something did happen my 2nd shooter would become my first shooter and I would call upon another photographer that I am in a networking group with to become the 2nd shooter. What about a backup plan if you are unable to shoot my wedding for some reason? Great question! We have been covering weddings since 2013. Sept 2017 we have documented over 100 weddings! We believe marriage should be for life and it's one of the most beautiful covenants on this planet. We believe weddings are meant to be felt not just seen. So that years later you can feel all the emotions over again when looking through your video/photos. We're always here girl. Every single concern, question, request, venting session and message you have... send our way. We care deeply for you. We want everything to be of comfort and give you peace of mind. Beyond impressed by both Kristina and Jake Handergard. These two are amazing professionals as well as people. I was overjoyed to find out that they could take photos for us in Detroit Lakes, MN for our wedding and engagement photos in Stillwater, MN. I grew up in the Twin Cities, so it was important to me to have photos in both places I consider home. Our engagement photos were beautiful and posted less than 24 hours from taking them, fully edited too! Kristina was willing to take photos of our then puppy during this time and walk through the woods for photos. She is a trooper! The wedding day was behind schedule... as somethings are out of our control as Brides. None the less, Kristina and Jake calmed my nerves and worries and were still able to capture photos as well as videos on our day. 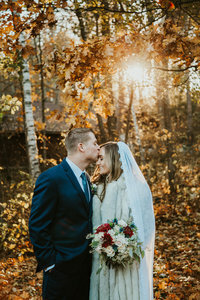 Preview photos were sent two days after our wedding day, which just shows how hard they work to please their customers. Kristina and Jake are extremely creative and talented individuals who are fun to work with. Kristina also helped me create the wedding day timeline, which was extremely helpful and something that many businesses do not do. 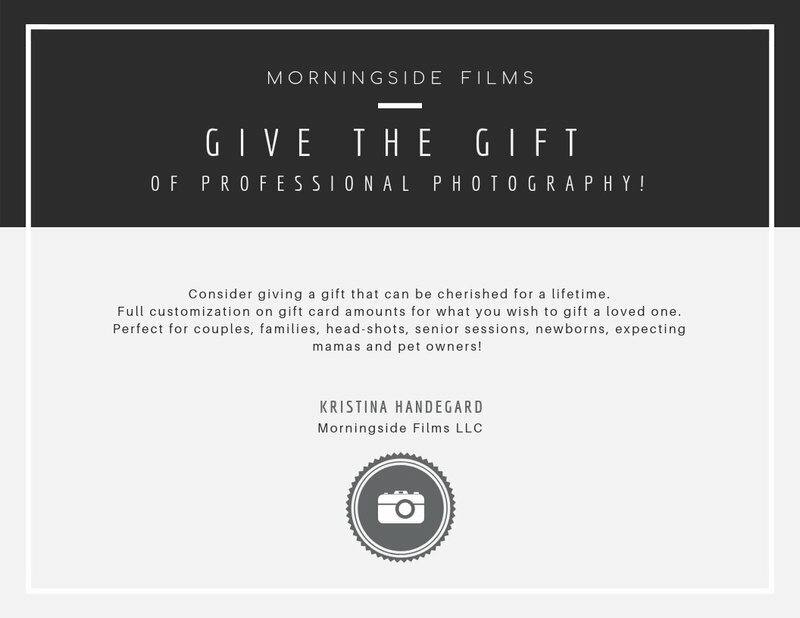 We were so lucky to have Morningside Weddings apart of our special day and wish them the best as they continue to rock it in the photography and videography business. HIGHLY RECOMMEND! We have only had our engagement pictures and immediately in love! Kristina and Jake went out of their way to come to my fiance's welcome home from being deployed overseas. They were so flexible and so helpful! Plans and timing change so much with military and they were great adapting to all of the information and location changes! We did a traditional engagement session after he returned home and they made us feel so comfortable, that we could be ourselves. 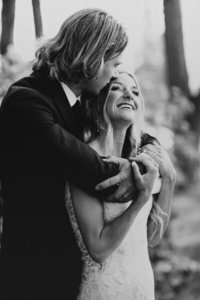 We received some previews that same evening and were immediately in love! Just received the remainder of our engagement pictures last night - received so many comments about how beautiful they were and how great the editing is. Natural and modern - exactly what we were looking for! Where to begin... Kristina did an awesome job on our engagement session and from the pictures they have shared of our wedding Kristina & Jake nailed it! Not only do they do an amazing job but they are fun and easy to work with. I honestly had NO STRESS at planning with Morningside Weddings, Kristina is super helpful and organized! We couldn't be more satisfied with Morningside Weddings. We will definitely be using them again in the future for our other photography needs! I am so happy I found this group to work with for my wedding. From the moment we booked them, they have kept in contact with us and made the experience truly personal. Through the planning stages Kristina set up a concept board to explore our style and understand what we wanted. We took engagement pictures in November and they turned out BEAUTIFUL and we always get wonderful comments. Kristina was so awesome at offering posing directions during the shoot and made us feel so comfortable. She even had sneak-peeks up within hours and our whole download album finished and ready that week! It was incredible and we can't thank Morningside Weddings enough for all the hard work and personalization they do. Ok Brides, Morningside Weddings is a MUST. Kristina and Jake are easy to work with, super responsive and reasonably priced. Bonus they do both photography and video!! 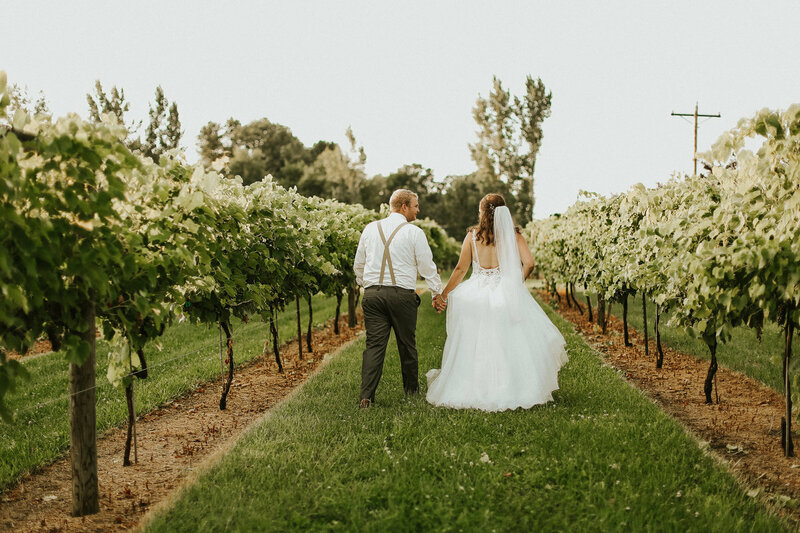 Another reason to book this duo is their attention to detail, Kristina is so passionate about how the picture will look she takes her time to make sure it looks perfect, I really appreciated this factor because my mind was so foggy the day of my wedding... I was everywhere happiness and joy. Kristina made sure I got all the pictures I wanted.